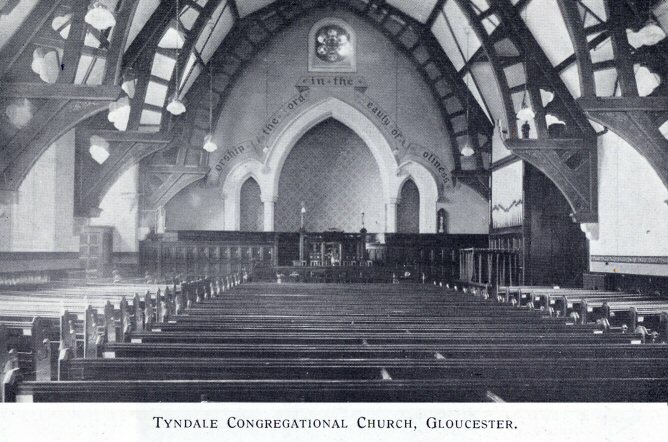 ABOUT THIS PAGE: This web page comprises a transcription and scanned images from a booklet commemorating the Golden Jubilee of Tyndale Congregational Church in Barton Street, Gloucester in 1925. The 28-page booklet comprises a history of the first fifty years of the Tyndale Church, an account of its Ministers, and touches on the two Mission Halls of the main church elsewhere in the Gloucester area. 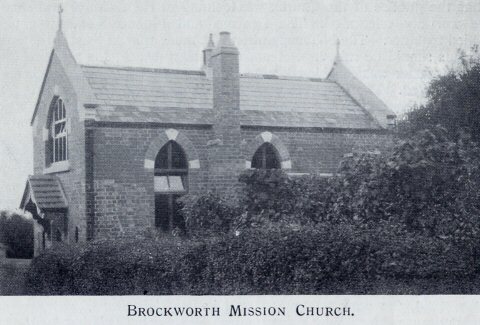 The Church itself was closed in 1976, and has since been demolished; however its Mission Hall in Painswick Road remains standing, and is now in secular use. Additional Note: Page numbers were included on some pages in the original, and these have been retained. On pages without a page number, and for the descriptions of some images, additional text is enclosed in square brackets  to indicate it has been inserted by the transcriber. This Souvenir serves a double purpose. It celebrates and gives the Programme of our jubilee and is also an attempt to preserve facts in the history of the Church which are in danger of being lost for ever. In our task, we have been much helped by similar work by Messrs. John Vick and D.T. Lansley. We have also to thank Mr. Roland Austin, Librarian at the Public Library, for his kindly help. SERVICES 11 A.M. and 6.30 P.M. Given by Mr. Curtis' Party. Supported by the Ministers of Gloucester. "Come, let us sing!" (Mendelssohn). "God Thou art Great" (Spohr). Organist: MR. R. SHAW, A.L.C.M. Conductor : MR. B. C. SHEWELL. SERVICES at 11 A.M. and 6.30 P.M. Preacher: REV. 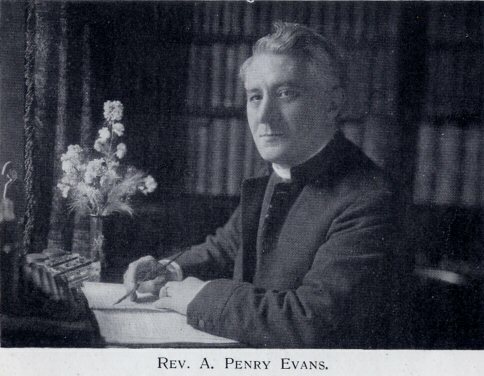 A. PENRY EVANS (Swansea). MOUNTAIN climbers sometimes pause in their upward course, to survey the way they have travelled. Then, encouraged and refreshed, they face cheerfully the greater heights beyond. We have reached a like place in our history as a Church at Tyndale. We desire in "Looking Backward", to find strength and inspiration to "Go Forward". The dawn in nature is a time of half-lights. So it is with the dawn of Tyndale's history. But there are two figures that stand out boldly in the daybreak, namely, Mr. Hurd, of Berkeley, and Mr. Benjamin William Cooke, of Painswick - laymen both. They blazed the forest and made the road, and will for ever stand as pioneers of the dawn. MR. HURD - THE MAN OF BERKELEY. In the year 1871, the Church at Southgate Street, through its minister, Rev. J. P. Allen, M.A., and its officers, sent an invitation to a Mr. Hurd, of Berkeley, to come to Gloucester to open a mission in the rapidly developing Barton Ward. The Church had received a vision of missionary adventure and had heard a cry from the end of the City, "Come over and help us!" Mr. Hurd, having responded to the call, a room for holding services was secured in Barton Street, on premises owned by the late John Turner, a shoeing Smith. The "Man of Berkeley" was evidently a man of faith, for, according to an entry in his account book, bearing the date of August 7th, 1871, he paid a visit to Rev. J. Morton Brown, LL.D., of Cheltenham, relative to the purchase of a site in Barton Street, for a chapel. The expense of this visit was eighteenpence. Truly great doors hang on small hinges. This was the egg out of which was hatched the nightingale's song. Mr. Hurd's work came to a sudden end, the cause of which is wrapped in obscurity. But not before the necessary steps had been taken for the purchase of a plot of land for a future edifice. Then he merges into the mists. MR. B. W. COOKE - A PAINSWICK WORTHY. his way to Gloucester market. He is worth looking at, for he is every inch a man, as hardy in body and spirit as his native hills, and with convictions as unshakable as the Painswick oaks. He comes of true Puritan stock, being a direct descendant of "Francis Cooke", one of the gallant band who sailed in the Mayflower. The same love of freedom that sent his ancestor to America, sends this man here and there planting Congregational Churches, in which God may be worshipped according to the dictates of conscience. The Cotswolds are his America and he has already planted churches at Painswick Edge, Brockworth, Pitchcombe and Slad. He is a Nonconformist and Congregationalist to the roots. He and his wife jog along on their mountain ponies through the fields and lanes, on past Barnwood Church and into the Painswick Road. To the left of them, the old "Rignum Fields", where the army of King Charles encamped during the siege of the city, have just been converted by the City Fathers into a park, and here and there houses are springing up, indicating that the city is extending its borders. A little nearer the city, they pass on their left, a charming cherry orchard, with a brook murmuring through it. On their right are the extensive meadows named Barley Close. In years gone by, the nightingales made this orchard their headquarters. But the grove of trees around the Vauxhall Tea Gardens (so named after the famous London resort) have been recently cut down and the song of the nightingales is hushed. But a sweeter song is soon to be heard in the place - the song of salvation. As they pass, Mr. Cooke turns to his wife at his side, and pointing to the orchard, says, "What a fine site for a Congregational Church that would be". His wife voices her agreement. So they pass on to do their business and the business of "The King". Front row - Mr. G. Smith, Mr. M. Rowles, Mr. J. Vick, Rev. Harold Davies, Mr. D. Margetts, Mr. T. Walton, Mr. J. T. Wheeler. Back row - Mr. B, C. Shewell, Mr. W. Verrinder, Mr. H. W. Warner, Mr. C. E. Harris, Mr. J. Williams, Mr. W. Humphris, Mr. H. Acton. their Glebe in Horton Road to provide the purchase money. A former historian has called Benjamin William Cooke "The Grand Old Man of Gloucestershire Congregationalism"; and well he deserves the title. To him and Mr. Hurd belong the-credit of writing the "Genesis" of Tyndale's history and of transforming the place where the fruits of earth grew, into a place for the cultivation of the fruits of the Spirit. "Being dead they yet speak". In 1873, the County Association began to take an interest in the work, so that it is evident that Mr. Hurd's work was not fruitless. In 1874 the Executive Committee of the County Union accepted responsibility for the forward movement work in the Barton Ward. In the first week of May 1874, they invited Rev. John Bennetts to assume charge. At this time the name "Tyndale Chapel" appears for the first time in the Southgate Minute Book. A room was procured over the newly erected Co-operative Store in Stratton Road, the scattered friends were once more gathered together and worship commenced. Meanwhile, the County Executive Committee had appointed Sir S.S. Marling, Stroud ; Rev. J P. Allen, Gloucester; Rev. E. J. Hartland, Bristol (Secretary) and Dr. R.W. Batten, J.P. (Treasurer) to overlook the work, prepare a scheme for chapel building and obtain the necessary funds. They entered into their task with faith and enthusiasm. Mr. Tait, of Leicester, was instructed to prepare plans for the proposed Tyndale Chapel. When these were ready the contract for building was given to Mr. Meredith, of Gloucester. A new church is not born without labour. The next step was the preparation of the Trust Deed. This was signed on August 8th, 1874, by twenty-one trustees. The Trust Deed, which is our Charter, is an interesting document. It provides for the Congregational form of government and doctrine. A notable omission is "The five limbs of Calvinism", which is usually found in many old trust deeds. 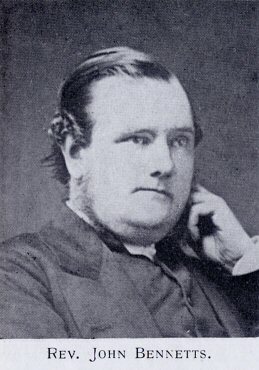 This omission indicates that those who drew it up were broad-minded and far-seeing men, who did not desire to shackle future ministers to the doctrinal and creedal standards of the time, but believed with the famous "Father of, Congregationalism", Robinson, that "God hath yet more light and truth to break forth from His Word". The Chapel was given the name of Tyndale in no casual or accidental way. It was built as a memorial to William Tyndale, the translator of the Bible into the English language. There is ample proof of this. In the report of the laying of the Foundation Stone of the Chapel, in The Gloucester Journal for May 11th, 1875 (a copy of which is preserved in the Public Library and placed at my disposal through the kindness of Mr. Roland Austin), there are these words: "The new Congregational Church in Lower Barton Street, named Tyndale in commemoration of the martyred Bible translator, was opened for Divine Worship on Tuesday last". Front row - Mr. G. Cowdery, Mr. J. Critchley, Mr. H. Acton, Rev. Harold Davies, Mr. A. H. Stephens, Mr. C. H. Wheeler, Mr. T. Rust. Back row - Mr. W. Phillips, Mr. H. T. Shewell, Mr. W. Acton, Mr. W. T. Orpin Mr. W. Gardner, Mr. C. A. Joyner, Mr. S. Portlock, Mr. H. Petch. In the same report it is stated that a bottle was placed under the Foundation Stone, which bore the words, "The Chapel will bear the name of Tyndale in commemoration of the great Reformer, William Tyndale, with whose fame as a divine and translator of the Scriptures, this, his native county of Gloucester, will be for ever associated". It would appear that Tyndale was intended to be a Memorial Church. There is an entry in the Southgate Minute Book, naming "Tyndale", before the erection of the building was begun. It seems to the author that there is no doubt at all about the naming of the Church. It is, in the strictest sense, a memorial to Gloucestershire's greatest son. The fact that Tyndale's quarter-centenary is being celebrated this year, makes our jubilee doubly interesting. "This chapel is erected with the sanction of the Congregational Union of Gloucester and Hereford and with the approval of the Church worshipping at Southgate Street in this city, to assist in supplying the spiritual needs of a population of between ten and twelve thousand persons, who have recently settled in the surrounding district. "The Church to be gathered here will be congregational in its polity, but its communion will be open to all who hold the essential doctrine of the gospel of Christ and whose lives are in harmony with its requirements. "The Chapel will bear the name of Tyndale, in commemoration of the great reformer, William Tyndale, with whose fame as a divine and translator of holy scriptures, this, his native county of Gloucester, will be for ever associated. "The foundation stone was laid with prayer and praise to the Father, Son and Holy Ghost, one God, on Thursday, 29th of October, 1874, by Thomas Rowley Hill, Esq., M.P. for Worcester. "The land on which the Chapel stands was purchased for £286 2s. 6d. The contract cost of the building to be erected was £2,432. Total, about £3,000. Glory to God in the highest and on earth peace among men of good pleasure." Amongst those who took part were Dr. Brown, Revs. V. Price and F. Hastings and Mr. Samuel Bowly, the renowned temperance advocate. * Some of the above may be ministers. The history is a little obscure at this point. £100 and sundry further gifts amounted to £54 10s. ; whilst the collections on the day of opening amounted to £52: on that day Mr. W. Sommerville promised another £100. had now fully dawned. The Chapel was built and services commenced under the most favourable auspices; but the Church had yet to be gathered and formed. On September 19th, 1875, we have the first baptisms recorded, two boys, the first on the register being Frank Hugh, the son of Mr. Henry Thomas, and the other Henry Charles, son of Mr. John Grace; the third entry being that of Ada May, daughter of Mr. William Shewell. The Chapel was registered as a "Place of Worship" on October 1st. 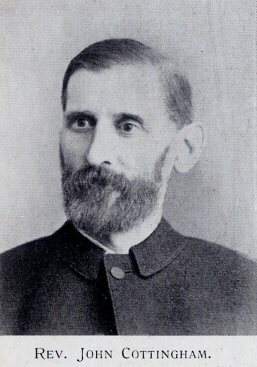 Early in 1876 the Church was formed by Rev. J.P. Allen, Dr. Brown and the Pastor of Wotton-under-Edge Church. After each of the members had received the right hand of fellowship into the Church, the ordinance of the Lord's Supper was observed. Amongst those received into fellowship on this occasion were the following: Rev. John Bennetts (Pastor), Sophia Jones (the Pastor's wife), both aged 39 years, Mr. and Mrs. Bridges, Mr. and Mrs. Dowrick, Mr. and Mrs. Mason, Mr. and Mrs. Hickling, Mr. and Mrs. Cotterel, Mr. and Mrs. Linton, Mr. and Mrs. Holbrook, Mr. J. Powell, and Mr. and Mrs. Hamblin. In 1877 a Monthly Magazine was started. A copy of this would now be interesting and useful; but, alas ! no copy can be found. On March 15th of the same year, the First Annual Church Meeting was held. At this time the membership of the Church was 61 persons, the number of scholars in the Sunday School 195, teachers 13, members of Men's Bible Class 38, Women's Bible Class 23. The income from the Weekly Offerings amounted to £66 16s. 8½d. and from other sources £11 16s. 2d., whilst £112 10s. 0d. was contributed by way of grant. The expenditure of the Church for the first year was £203 12s. 10½d., so that there was a deficit of £17 16s. 0d. On April 16th, 1877, Mr. Bennetts resigned the Pastorate. Shortly afterwards, he went to reside at Plymouth, where he died after a brief illness, on November 19th, 1891, at the early age of 54 years. Owing to the circumstances attendant upon the resignation of the minister, a dark and difficult time followed. The County Union was led to intervene and on Sunday, October 14th, 1877, the darkness fell and the following resolution was passed by the remaining members of the Church: "That the Church of Tyndale be, and is hereby, dissolved". But the darkness soon passed. Most churches have resurrections in their history. Friends from Tyndale and Southgate, firm in their faith, began to search out a man, God's man, who would take up the work and build anew. They knew that "The Great Head of the Church" would answer their prayers. "The man", who was "a hiding place from the tempest and a covert from the wind and the shadow of a rock in a weary land", unaware of the destiny God had in store for him, was at that time labouring quietly under the shadow of the hills at Malvern Link. appointed. These were: Messrs. J. Vick, D. Margetts, J. Lewis, G. Gardner, W. Dewick, W. Lodge, and T. Walton. Later Messrs. J.W. Hopkins and J.H. Clarke were added. Thus the call to Mr. Type was proved to be of God. After six years' strenuous service, he accepted a call to Moseley Road Church, Birmingham, to the regret of the congregation at Tyndale. On leaving, he was presented with an illuminated address, signed by the deacons and Finance Committee, expressive of the love and esteem in which he was held by the Church and congregation. Thus ended the pastorate which in the early days of Tyndale, was just suited to lay a good foundation for coming years. "Success" is elusive to define and analyse. But there are elements in this "man" of God that stand out, such as his unconventionality of matter and manner, his stirring appeals to the affections, his deep piety and evangelical motive and his readiness "to be all things to all men" in order to win them. "Rescue" was an outstanding word in his vocabulary, and he believed in "the power of God unto salvation". He was able, too, to gather round his magnetic personality a stalwart band of workers; men like Mr. Thomas Shewell, who worked amongst the infants for 28 years, Messrs. John Grace, Morton Rowles, W.K. Collins, George Pickford, William Dewick and Thomas Drinkwater (General Committee), with doorkeepers like Mr. M. Rowles (40 years), and Mr. John Grace ; to say nothing of the host of faithful sisters. success. The Chapel was renovated by Mr. Pickford at a cost of £130. 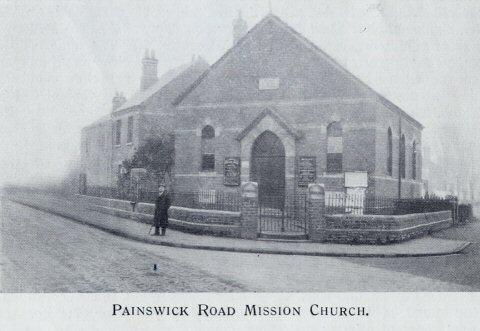 The Mission Hall at Painswick Road was erected, through the generosity of Mr. Gaze, who presented the site and contributed £400. The Hall and the caretaker's cottage, when completed, were free of debt. 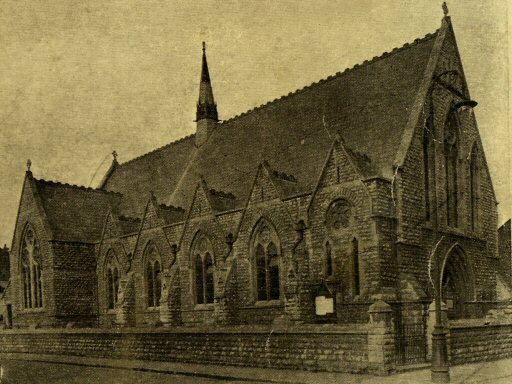 The opening of the Hall took place on October 20th, 1887. A large manse, at the corner of Weston Road, was purchased for £800. Spiritually, too, the work advanced. After three and a half years, Mr. Tucker received a call to Gravesend and to the deep regret of all, was accepted, on account of Mrs. Tucker's health. It was a short ministry, but crowded with achievement and lasting results. of Haverhill, was brought to its notice. After trial, he was invited to take up the work. During his stay of six years good work was done. His preaching was solid and satisfying, but a little beyond the people to whom he preached. Yet he was greatly beloved, being a true shepherd in his care for the sick and poor. The Manse was. an ever-open door, whilst the children found in him a loving friend. He was faithful in labours, and made a worthy contribution to the history of Tyndale. He accepted a call to London, and then removed to South Africa, but after some years returned home to England to die. He and his faithful wife sleep together in Gloucester Cemetery, among many of those who were his spiritual children. The Master's word to this "faithful servant" was "Well done"! Very often level roads lead to mountains. Again God was preparing "a man" for Tyndale, whose ministry was to provide the most glorious chapter in its history. God's ways are wonderful. the Church redecorated at a cost of over £100, both these being paid for. These achievements had their spring in the strong emphasis placed upon the spiritual aspects of the work. The centre of the Church's life was glowing with love for Jesus Christ and every part of the circumference received blessing. Each month saw additions to the Church-roll and during this ministry 555 were brought in. The Week-night and Communion Service were times of fellowship and large gatherings were the rule. Besides all this, Mr. Porter was a prominent figure in the life of the City and Denomination. 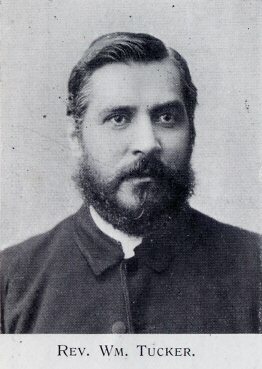 He filled the following offices: Chairman of the Congregational Union of Gloucestershire and Herefordshire, President Gloucester Free Church Council, Member of Board of Guardians for over 20 years, Member of Executive Congregational County Union, Manager St. Michael's Schools, Chairman of the London Missionary Society Auxiliary. These multifarious duties, all well discharged, are explained by the term "method". The minister was able to do so much because he lived and worked by plan. In addition, he was a great Pastor. For many years his visits averaged over 800 per year. He held the pastorate over such a long period (20 years) that he was able to create his own atmosphere. He was consecrated, tactful, with a large fund of that uncommon commodity, common-sense. He kept his ministry fresh by constant reading and most of his sermons have a literary flavour. He was able to gather round him men and women of sterling ability and enthusiasm. 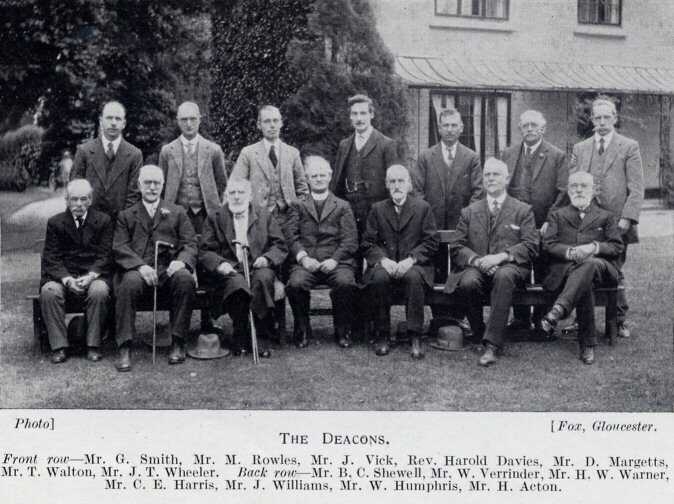 His deacons, men like Messrs. John Vick, David Margetts, R. H. A. Clarke, Morton Rowles, Thos. Walton, C. E. Harris, A. Hart, H. Acton, J.T. Wheeler, A. Dutton, A. Camm, D.T. Lansley, account partly for the success attained. It should be said that Mrs. Porter's personality and work were no mean factors in the success achieved. When in July, 1916, Mr. Porter brought his ever-to-be-remembered ministry to an end at Tyndale, it was felt to have been all too short. He now serves in a wider ministry, in retirement, and the home of Mr. and Mrs. Porter is a scene of peace, affection and good will. The influence of this gracious and inspiring ministry will be felt in Tyndale for many years yet to come. REV. 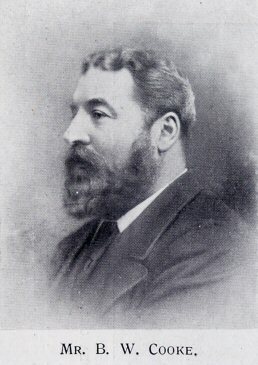 A. F. BLANDFORD, B.A. There ensued an interval of sixteen months, during which time the Pulpit was occupied with supplies from various parts of the country, amongst whom was the Rev. A.F. 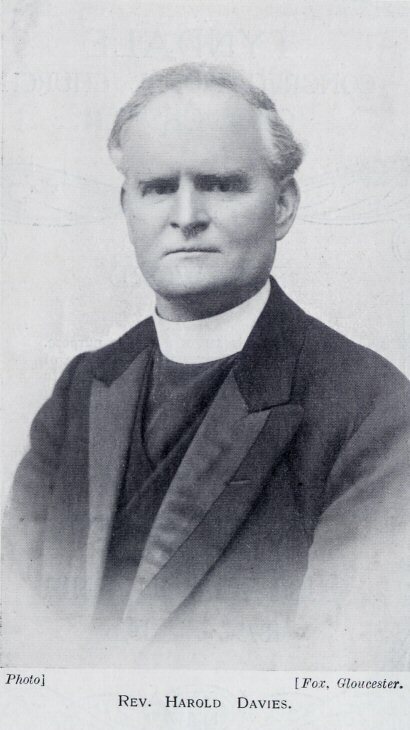 Blandford, B.A., of Bitterne Park Congregational Church, Southampton, who, having very much impressed the Church and congregation on two successive Sundays, and excellent testimonials having been received, was recommended by the Deacons as a most suitable and promising minister for Tyndale Church. This was fully approved at a Church Meeting on October 17th, 1917, and Mr. Blandford was duly invited to become the Pastor. This was accepted and his ministry entered upon on Sunday, December 2nd, 1917. Being desirous of more scope and a wider field of service, Mr. Blandford came in the freshness and vigour of young manhood. the task and drew around him a large circle of young folk. This was very essential, from the fact that, in common with other churches, the "Great War" had been depleting the church and many were the gaps created. Mr. Blandford entered into much correspondence with the "Boys at the Front". His letters and a Special Number of the December, 1917 Magazine, which contained a "Roll of Honour", consisting of nearly 80 names, were very highly appreciated by our absent ones, many of whom replied with letters full of interest and pathos. In his early efforts, small chairs were provided for the "Tiny Tots" in the Primary Class. A Children's Guild was opened and a Literary Society was formed. A Training Class for the young was also established, with good results; many of its members coming into Church Fellowship. A Young People's Missionary Working Party was also organised, under the leadership of Mrs. Blandford, and meeting at the Manse, had good results, both for the workers and the L.M.S. These were difficult times, Mr. Blandford's ministry covering the closing days of the war and the first of The Peace. The word, "Camouflage" was beginning to wane, only to be followed with a ringing of the changes upon "Reconstruction and Production". After four weary years came the Armistice, and preparations were pushed forward to welcome home "The Boys", who were to share in solving the problems and utilising the opportunities of the New Era. Great was the delight of the Pastor in meeting with so many with whom he had corresponded so long. 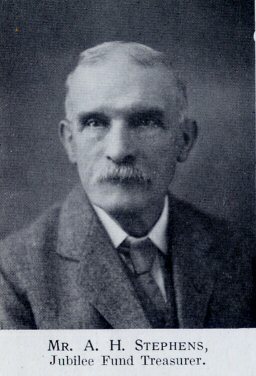 One of the outstanding events during Mr. Blandford's ministry was the entertaining of the County Union on April 11th, and 12th, 1921, to which a host of willing workers rallied. There were some 140 delegates and they spoke in high appreciation of the warm welcome and kindly hospitality they had received at the hands of the Tyndale friends Several of Southgate Church also assisted. The meetings were most successful and proved very inspiring. to undertake the Pastorate of North Street Congregational Church, Kingston, Jamaica. This appealed strongly to Mr. Blandford, and he accepted it. He preached his farewell sermon at Tyndale, on Sunday, September 11th, 1921; sailing with Mrs. Blandford and their three boy, on Tuesday, September 20th, with an expression of every good wish for their future success from all their friends. The pulpit was thus rendered vacant for the sixth time and was occupied, from Sunday to Sunday, by excellent ministers from all parts of the country. The interregnum, however, proved of short duration - the shortest on record. On Sunday, January 8th, 1922, we received a visit from Rev. Harold Davies, of Blaina, Mon,, and all were desirous that he should come again. The date of the second visit was February 5th. The church was so impressed, that they called a Church Meeting for the following Wednesday evening. 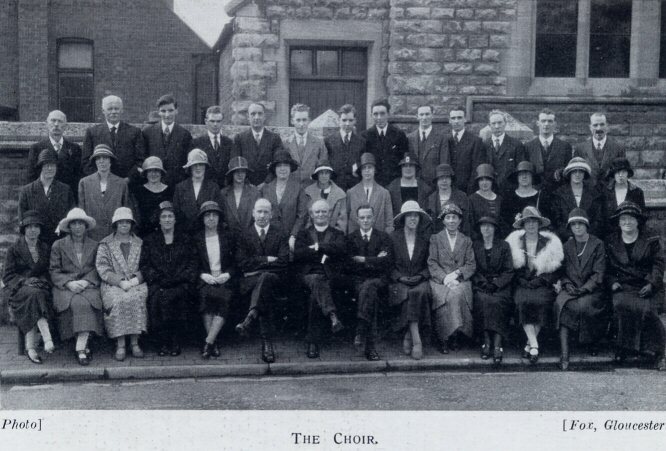 This was largely attended and unanimously decided to invite Mr. Davies to take over the pastorate at Tyndale. An unseen drawing power was at work, Mr. Davies having been much impressed by the Church and its situation, and given the consciousness that, with the co-operation of all and under the blessing of God, great things could be achieved for the Kingdom of God. In answer to our "Call", to the joy of the Church, there came an "Acceptance" and a promise to commence the new ministry on May 7th, 1922. The house difficulty at once faced us, the old Manse having been sold sometime previously. Prayer was made about the matter and on April 10th, 16 Howard Street was purchased and is now named "Tyndale Manse". On May 7th the new minister commenced his work. He came to us with a great reputation as an all-round man. In his pastorate at Cross Keys he had gathered a great congregation, his preaching having an attraction for men, chiefly because he addressed himself to their intellectual difficulties. The ordinary congregation often filled seats, aisles and pulpit. The School grew to be the largest in the county, and thousands of pounds were raised for various improvements. The Church more than doubled its membership. The same was true at Blaina. Up to the end, the Church was crowded and the membership doubled, whilst the last bit of work accomplished was the installation of an organ, costing £1,000, which was paid for. One of our ministers' most valued possessions is a gold watch, presented to him by "outsiders", i.e., people who never entered his Church. We were hoping and praying for blessing on the same ministry at Tyndale. He had been greatly blessed, too, in his home life, past and present. 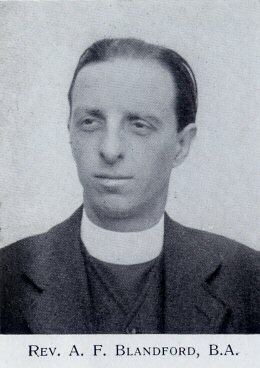 His father had been a well-known minister in Wales for over 50 years, whilst his brother had spent a few years, fruitful of promise in the same calling, but had died from after-effects of the war. The new ministry was thus bright with promise. In quick succession came "The Reception" on May 11th, and Induction Services on June 8th, conducted by Rev. Lincoln Jones, B.A., B.D. (Moderator), supported by Revs. 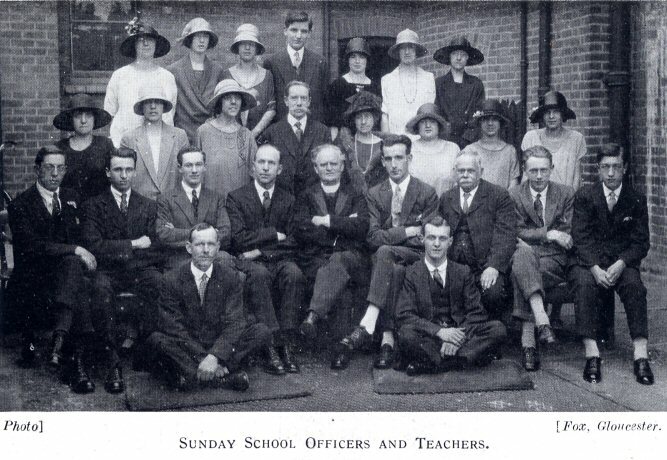 F. Surman (a College friend) and J. Peill Cooper, Southgate, and other ministers. has proved himself a model Treasurer, always carrying about him (in addition to his receipt book) that cheery optimism, which is a necessary ingredient of success. pleading for the outpouring of His Holy Spirit upon their hearts and the Church. These, though so various, are all true ministries in "the fellowship of the saints". The largest is that at Painswick Road. It seats 200 persons. Thirty-eight years of good work has been put in there and many have found The Saviour within its walls. The work commenced in services held in the home of our deacon, Mr. T. Walton and his sainted wife. The two distinctive features at the moment are (1) Its Sunday School. This is in a healthy condition under Mr. J. Williams and a faithful staff of teachers. (2) The Mothers' Meeting. About 50 mothers meet week by week for a Gospel Talk and Hymn singing, and find the meetings helpful. The President is Mrs. Dix, with Mrs. D. Nind as Secretary. As we think of the work in this rapidly developing neighbourhood, we visualise the day when there will be a fully organised Church and the usefulness of the work greatly expanded. Messrs. W. Humphris and J. Williams are Deacons working at this Mission. Messrs. W.C. Matthews, T. Chatwin and others worked hard for many years. Then there is the little Church at Brockworth. This nestles under the brow of Cooper's Hill, and was opened in 1899, through Mr. B.W. Cooke, of Painswick, who occupies such a prominent place in Tyndale's history. It accommodates 110 persons. Unlike its "little sister" at Painswick Road, it has no great population to draw upon. Notwithstanding, a goodly number of friends gather there, and in summer time the attendance is good. The services, as at Painswick Road, are conducted by Lay Preachers. For over 20 years Mr. William Bishop has been secretary, but of late infirmities and old age have laid hold upon him, and he has been assisted by Mr. G. J. Smart. The annual visit of their minister from Tyndale to the Anniversary and Harvest Festival, accompanied by Tyndale Choir, is quite the event of the year at Brockworth, and is a source of mutual happiness and edification. Till we reach the promised rest." MR. H. ACTON, 14, Sidney Street. MR. C. H. WHEELER, The Old Manse, Falkner Street. Messrs. D. Margetts, M. Rowles, J. Vick, T. Walton, J. T. Wheeler, G. Smith, W. Verrinder, H. Acton, B. C. Shewell, C. E. Harris, H.W. Warner, H. Petch, J. Williams and W. Humphris. Messrs. J. T. Wheeler and W. Verrinder, to whom applications for sittings should be made. Messrs. W.T. Orpin, T. Rust, R. Shaw, A.H. Stephens, C.A. 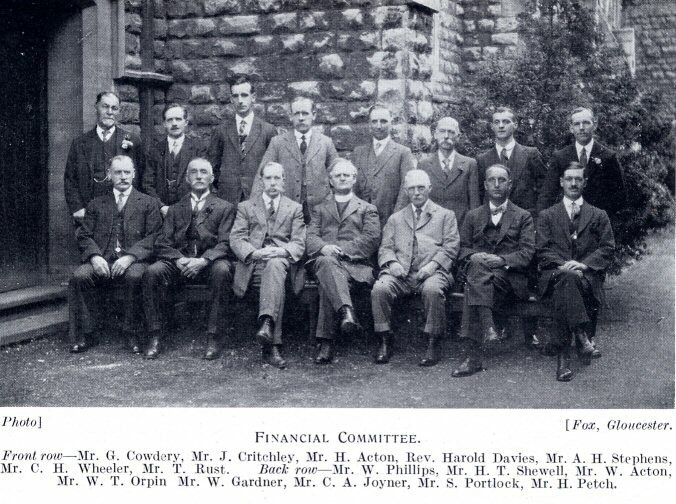 Joyner, W. Acton, W. Gardner, J. Williams, W. Phillips, G. Cowdery, J. Critchley, S. Portlock, together with the Deacons and other Officers of the Church. Messrs. H.T. Shewell and R. Shaw. Secretary - Mr. J. Williams. Sunday School Sec. - Mr. C. Williams. Mothers' Meeting Supt. - Mrs. Dix. Mothers' Meeting Sec. - Mrs. Nind. 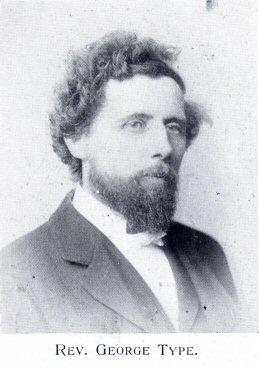 Secretary - Mr. W. Bishop. Secretary - Miss A. Dobbs. Registrar - Miss M.L. 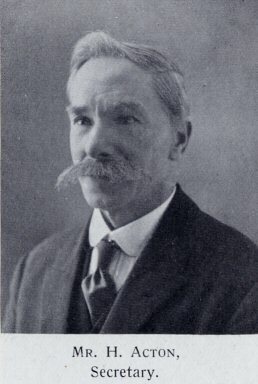 Gardner. Financial Sec. - Mrs. H.T. Shewell. Treasurer - Mr. B. Trustam. Conductor - Mr. B.C. Shewell. 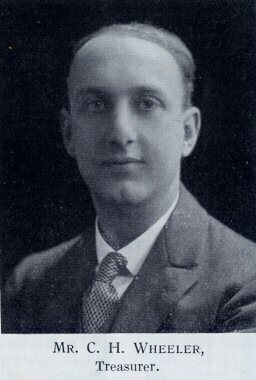 Organist - Mr. Reginald Shaw, A.L.C.M. Librarian - Mr. S. Portlock. Wednesday Service Organist - Miss P. Gardner. Superintendent - Mr. B.C. Shewell. 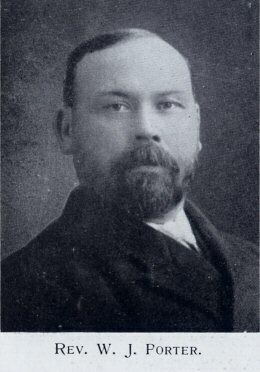 Secretary - Mr. W. Acton. Assistant Secretaries - Mr. Edgar Wheeler and Miss Doris Taylor. Primary Leader - Miss Grace Taylor. Accompanist - Miss A. Dobbs. Leader - Mr. W.J.H. Carter. Secretary - Mr. A. Gardner. Treasurer - Miss Gwen Taylor. Treasurer - Mr. W. Acton. President - Mrs. H. Davies. Secretary - Mrs. D. Nind. Treasurer - Miss C. Wheeler. Convener - Mrs. H. Petch. Leader - Mrs. W. Gardner. Superintendent - Mr. S. Portlock. Secretary - Miss B. Bracher. Accompanist - Miss W. Duggan. Secretary - Mr. E.A. Joyner, to whom all matter should be sent not later than 20th of month. Secretaries - Misses M.L. Gardner and G. Joyner. Treasurer - Mr. C.H. Wheeler. Secretary - Miss G. Joyner. Secretary - Miss P. Gardner. Secretary - Mr. W. Gardner. Captain - Mr. C.H. Wheeler. Vice-Captain - Mr. S. Portlock. Mr. and Mrs. Barker, 2, Stratton Road.